SMARTPLY SITEPROTECT is the highly engineered, moisture resistant, pre-primed OSB3 panel specifically designed to save time and money in the most demanding hoarding applications. By popular demand, and in line with the Temporary Works Forum’s (TWF) Guide to Good Practice, SMARTPLY SITEPROTECT is now being manufactured in a thickness of 16mm, making it lighter and easier to handle, without compromising on structural integrity. PATTRESS PLUS is the time saving, dust reducing, noise eliminating new OSB3 panel that dryliners have been dreaming of. 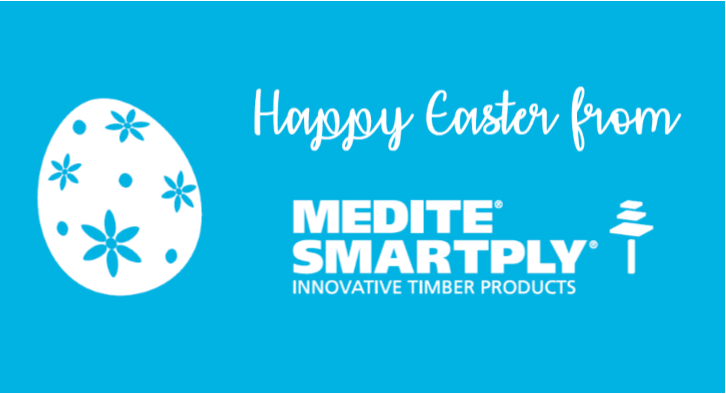 The latest product from innovative timber panel manufactures MEDITE SMARTPLY will be available to order from 1st February 2019. It’s the most wonderful time of the year at The Building Centre, Fitzrovia, London. Just for Christmas, a circular Tin Chapel and a social seating bench have been created by Roz Barr Architects, using SMARTPLY OSB in the courtyard in front of The Building Centre. SMARTPLY DRYBACKER, an innovative factory-prepared oriented strand board (OSB), has greatly reduced the time spent on the latest big build project for contractor SD Plastering.